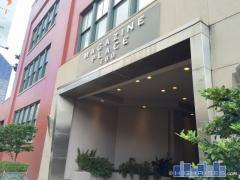 Magazine Place is a 3-story building located in the Warehouse District with 52 condominium units. Amenities at Magazine Place include a resident gym, roof deck, and parking is available for most units under the building or in a gated lot. Have any comments or questions about Magazine Place? Ask your question and/or share your thoughts about this Building.